SAOPCS 3rd, 4th and 5th graders have been busy learning about the lives of the saints. The students had a chance to display their knowledge by competing in classroom bees. 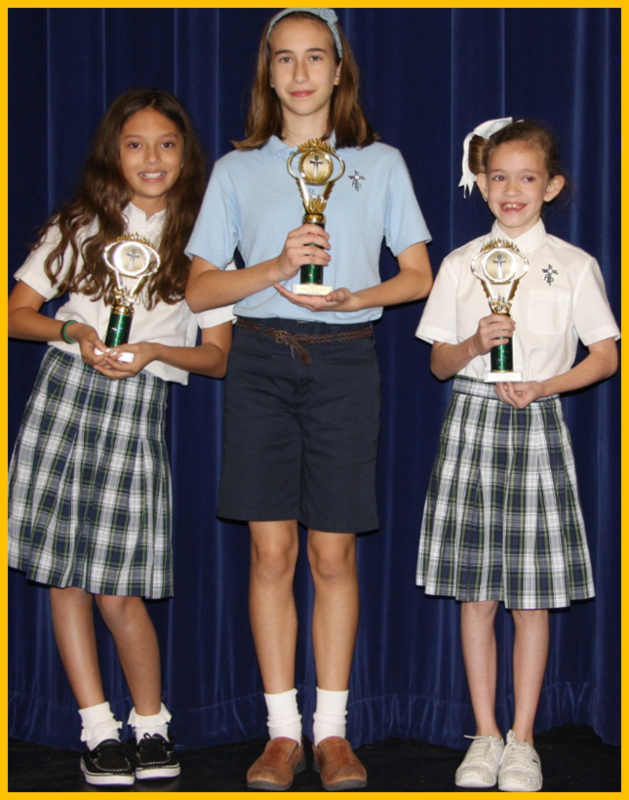 Thirty students advanced to the final Saints Trivia Bee held on Nov. 29 Congratulations to all of the participants.